Lake Fyans has and continues to be known as a great lake for Redfin. Check out the photo of a recent catch. 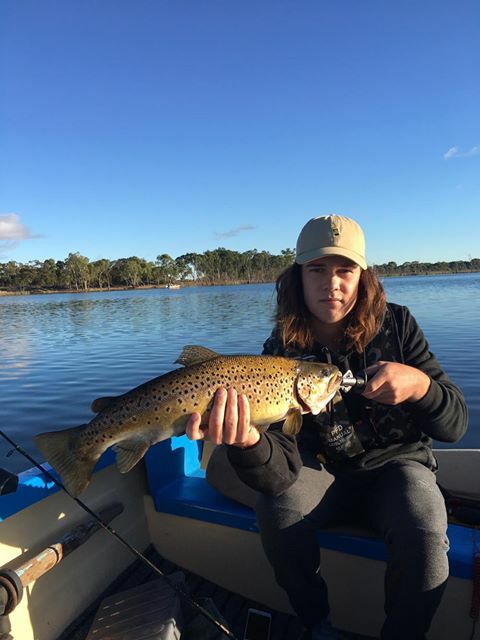 Photo of trout courtesy of Paddy Sheahan. 6lb trout caught trolling on a hard body lure. 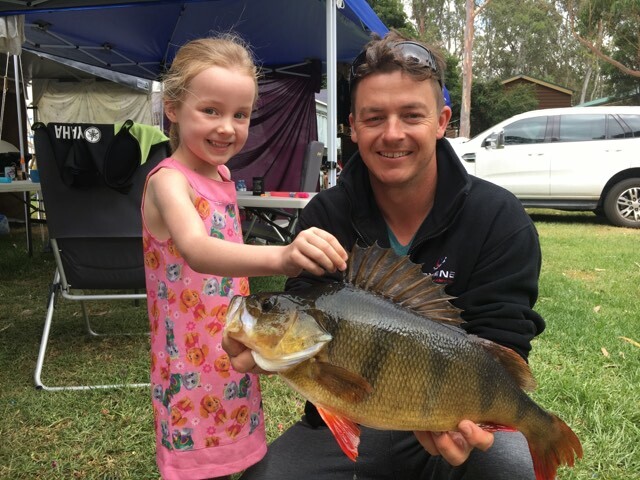 Lake Fyans Holiday Park offers everything from Camping Sites to Modern Living. Main Bedroom – Queen bed, electric blanket, LCD TV, clock radio, ensuite bathroom and balcony. 2nd Bedroom – Queen bed, electric blanket and clock radio. 4th Bedroom – Double bed with bunk over and set of bunks. All beds made up and towels. Bedrooms 2, 3 & 4 share the second bathroom. Equipped open plan kitchen, dining and lounge areas, LCD TV/DVD, airconditioning, heating, laundry and covered parking for 2 vehicles. Rate is for 2 people. Extra person: $25 (Christmas, Easter & Long Weekends $35). Infant in own porta cot: free of charge. 4Br Park House caters up to 10 adults and up to 8 children but cannot exceed a total of 13 guests. 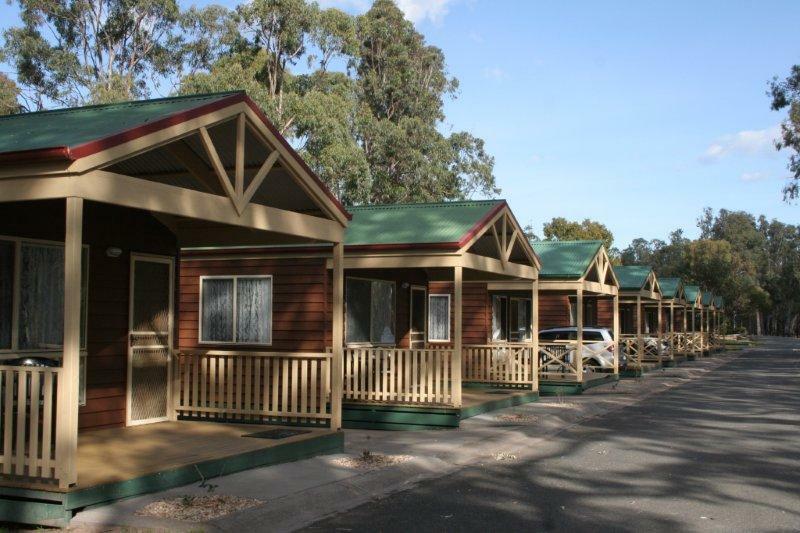 Stay in great Grampians Accommodation at Lake Fyans Holiday Park, near Halls Gap and Stawell and explore the Grampians National Park and surrounds. Halls Gap and Stawell are just 12 minutes drive away. The nearby Grampians National Park is unbeatable for bushwalking, climbing, waterfalls, wonderful views, fantastic rock formations, cave painting, close up meeting with kangaroos, koalas, wallabies and emus. Colourful wildflowers bloom throughout the year. Browse in the many galleries, craft, produce and gift shops and cafes. Sample our local wines. In the Grampians you can also visit Brambuk Aboriginal Cultural Centre and the National Park Information Centre. Stawell is home to the Easter Stawell Gift and Victorias largest working goldmine. 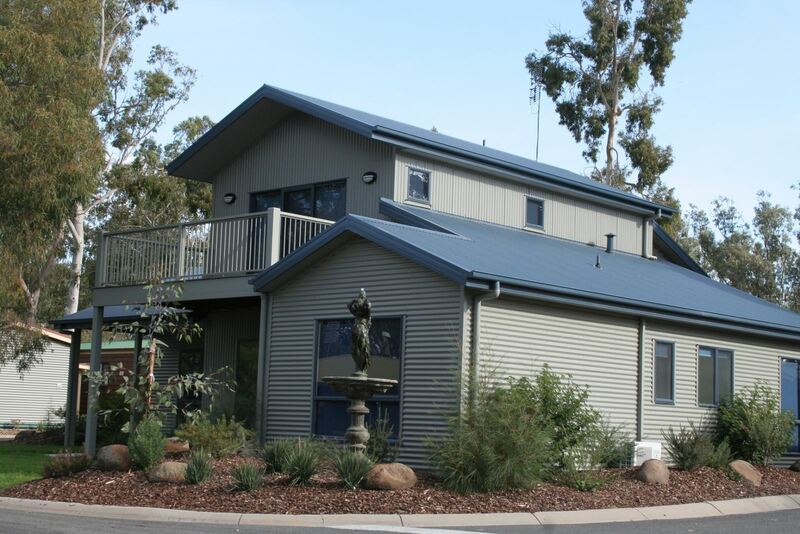 Just down the road from Stawell is the Great Western Vineyards with wine-tasting, sales and informative tours. Visit the picturesque village of Pomonal, only 3 minutes drive away. Sample the local produce at the monthly market and browse through the General Store/Local Cafe and view local artwork, bits and pieces, etc. Enjoy a pampering massage, facial or other beauty treatment, inhale the fragrance of wildflower nurseries.